Growing up, Alice Merton spent time in Germany, England, Canada, and the US. This song is about her feelings that she never really had a home. Looking for that perfect “headphones in the dark” kind of album? Try Trouble Will Find Me by the National. This is my favorite off that record. 1955 Elvis Presley plays 3 shows in Tampa FL to a crowd of 14,000. A riot broke out after fans took him up on his joking offer to see him backstage after the show, chasing him into his dressing room and tearing off his clothes. 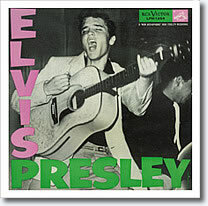 A photo from the show was used as the cover of his first RCA album in 1956. 1958 So You Say Its Your Birthday! Bill Berry, drummer for the pioneering American alt rock band R.E.M. Berry suffered a brain aneurysm on stage in 1995 that was successfully treated, and quit the band in 1997 only after getting his bandmates’ commitment to continue the band without him. 1968, Tommy James and The Shondells go to #1 on the UK charts with the garage rock classic ‘Mony Mony‘. The title was inspired after Tommy James, stuck for a title for his new song, went to the terrace of his Manhattan apartment and looked out and saw the “M.O.N.Y.” sign atop the Mutual of New York Building across the way. 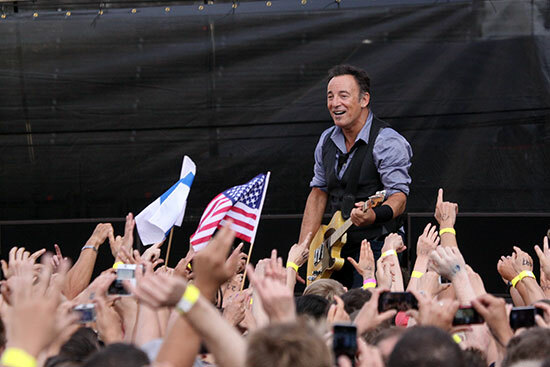 2012 Bruce Springsteen, playing the Helsinki Olympiastadionin Finland at the European finale of his Wrecking Ball tour, plays his longest show ever, clocking in at 33 songs and 4 hours and 6 minutes (and that doesn’t include a 5 song acoustic pre-set before the E St. Band comes on!) That’s right kiddies, 4 hours plus! That’s why he’s called the Boss. For more on the show, check out this review. Let’s start this week with great indie rock from Jeen. HT to Music Enthusiast for this great cut. The Old 97s have been around forever but have managed to fly under the radar for over 20 years. Their mix of country, punk and rock is hard to categorize but hard not to love. 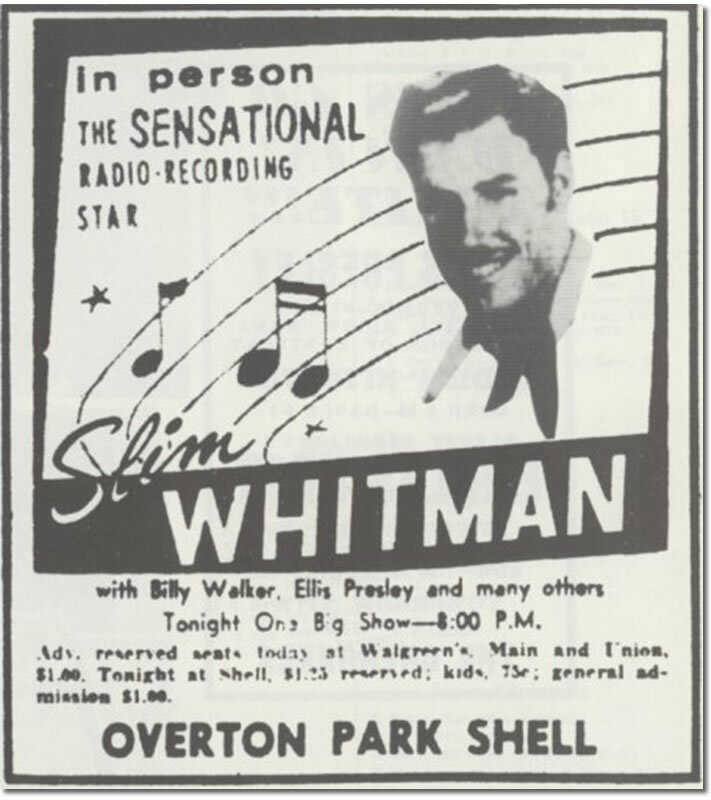 1954 Elvis Presley, in his first live concert appearance, appears on the show Hillbilly Hoedown, opening for Slim Whitman. According to reports, Elvis was so nervous that he stood on the balls of his feet and shook his leg in time to the music. After he came offstage, he wanted to know why the audience was yelling at him. They were reacting to the leg shaking, and a signature move was born. 1955, Johnny Cash begins recording ‘Folsom Prison Blues’ at Sun Recording Studio in Memphis. The song was inspired by a movie about the prison that Cash had seen while serving in the US Air Force in West Germany. 1966, The Troggs cover of ‘Wild Thing’ starts a two week run at No.1 on the US singles chart. Interestingly, the same song had been released by an American band, The Wild Ones, a year earlier but failed to make the charts. 2003 Sam Phillips, the founder of Sun Records and Sun Recording Studio, dies of respiratory failure in Memphis, Tennessee. Phillips discovered Elvis Presley, and worked with other legends of rock and roll, including Carl Perkins, Jerry Lee Lewis Johnny Cash, Roy Orbison, as well as Ike Turner and blues legend B.B. King. I start with a twofer because these two bands are the same band. The level of “look how sensitive I am” is staggering. Creed is sensitive in the “I’m spiritual but not religious” kind of way. Nickelback is sensitive in a “high school jock who just got high for the first time” kind of way. Special mention for bad duets. Incredible because this one includes two first ballot rock and roll Hall of Famers. *Extra credit for this lyric video which tells us who is singing which lyrics (because no-one can tell the difference between their voices) and manages to spell Michael wrong EVERY SINGLE TIME. The first song I thought of when started to make this list. Exemplifies everything about what was ,ummm , not so good about a lot of 80s music. If music video is supposed to bring the artist’s vision from audio to the visual world, I’d hate to see what else was going on in Dennis DeYoung’s brain when he wrote this song for Styx. In the “I can’t , I won’t and you can’t ” category we have…..
I’m riding Paul’s coattails on this one with the Grammy screw ups…….. but uggh….. this one annoys me. Billy RayCyrus should be on this list if only for owning some responsibility for popularizing the mullet.